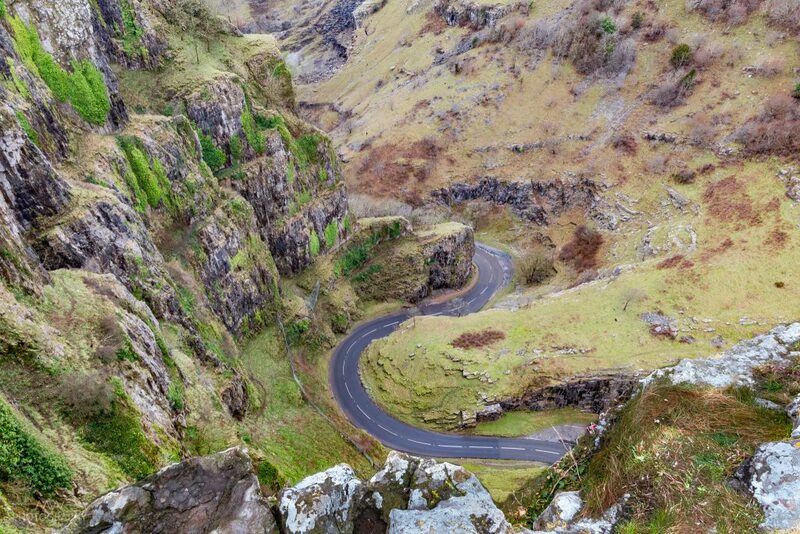 As I stood high up on the limestone cliff, looking down at the windy road down in the gorge, I couldn’t believe that this was actually England. We had started our walk in the picturesque little village of Cheddar in Dorset. The path challenged us with a steep ascent through some woodland, before leading onto an open and more even area. As soon as we came out of the wood, the views were astonishing. An old-fashioned stone wall fenced in some sheep that were grazing on the plateau of the gorge. As we stepped over the gate in this wall, we immediately noticed how muddy and sodden the underground had become during the previous days of rain. There were stretches when we basically sunk into the mud up to our ankles, but the views made it worth it. A stunning view over Cheddar Gorge. Having lunch with a view like that was spectacular. 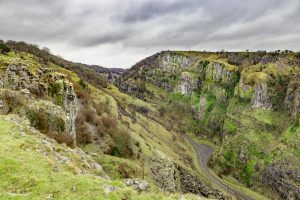 The rugged limestone of the gorge with the village at the end contrasted the typical English landscape with its rich green hills and fields expanding beyond. Nearing the end of the gorge, we descended to street level. We crossed the little country road leading through the gorge and ascended again on the other side of it. This time, the path led through some beautiful birch wood. The white colour of the stems gave a light and friendly look to the woodland, not as heavy and dark as most forests. 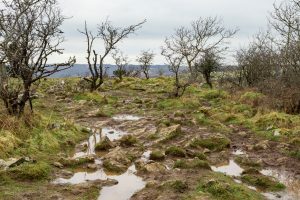 Having only crossed the road, we expected views quite similar to the ones on the side of the gorge we had just come from, but we were disabused very soon. 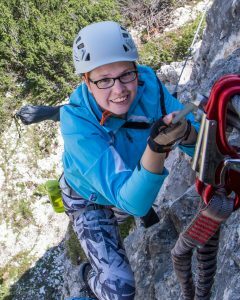 Now that we stood on the rugged cliff top lines of the limestone we had seen from the other side, we saw so much more detail. Vibrant green ivy added colour and life to the off-white texture of the limestone. The limestone on the other side was less in these rugged lines, but more seeming to be shaped like gigantic stairs. Being able to get closer to the edge of the cliffs than before, we risked a look down into the gorge. The cars on the little road seemed like model cars gliding along a toy track while passing along the horseshoe bend. The path was muddy, but the views were worth it. Taking in the views, we slowly started the descent back into the village. Had it been a little warmer, we sure would have had an ice cream in one of the many little shops. But for now we just got into the car and started our drive back to Southampton, only interrupted by a pheasant fight right in front of our car. Another great hike, and a lovely surprise to find this gorgeous gorge in the middle of the green fields so typical for England.